In the summer of 2003, the Houston suburb of Clear Lake, Texas, was devastated when four young residents were viciously slain. The two female victims, Tiffany Rowell and Rachael Koloroutis, were just 18 years old - popular and beloved. But when a killer came knocking, it turned out to be someone they knew all too well. Seventeen-year-old Christine Paolilla was an awkward outsider until the girls befriended her. In this gripping true story, M. William Phelps delves into the heart of a baffling mystery to get to the truth of an act so brutal it could not be understood - until now. In 1979, Simmons retired as an Air Force Master Sergeant following 20 years of service. The instability that followed his military days exacerbated his desire for control over his family. Simmons used intimidation, humiliation, and violence to assert dominance over all but one of his family members. He allowed a softer side to surface for his favorite daughter, Shelia, whom he forced into an incestuous relationship, and eventually fathered her child. His need for total control led to isolation within his family and an inability to hold down a job. His frustration grew to untold levels when Sheila left the family home and married another man. With his plans in ruin and his grip softening, Simmons surprisingly supported his family's desire for a big Christmas celebration. The stage was set for a heartwarming reunion, but he had laid a very different set of plans. 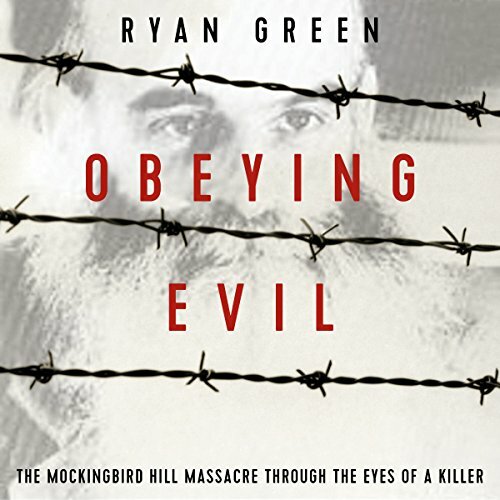 Obeying Evil portrays the Mockingbird Hill Massacre from the perspective of Ronald Gene Simmons. It's a shocking true story about dominance, intimidation, and extreme violence. If you are especially sensitive to accounts of the suffering of children, it might be advisable not to listen any further. 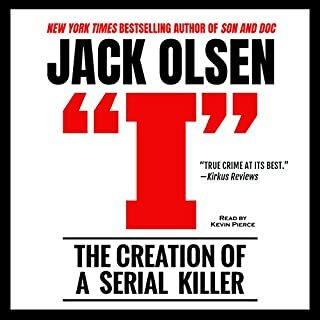 If, however, you seek to understand the darker side of human nature by coming face to face with it, then this audiobook is written for you. wow, this book was intense. it was so well written, it reads like a fiction novel. its hard to believe that its true. how can someone be this evil? this cruel? this twisted? If you like True Crime, this is a must read. a look into a killers mind. Ryan Green, did an outstanding job reading this story. I highly recommend this book ! I vaguely remember when this happened and it was rather shocking then, but listening to it in more detail is unreal. 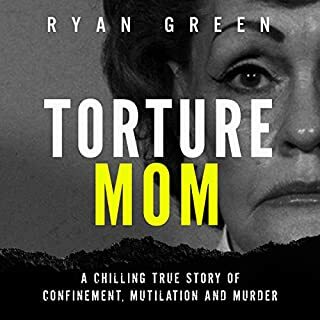 I'm a huge true crime fan and a huge fan of you, particularly, Ryan!! Keep them coming and I'll keep listening/reading them as long as I can!! SURE IS EVIL, ALL RIGHT! GREAT BOOK! Just when you think reality can't get any more horrific or gruesome (and this is coming from a certified true crime addict! ), you read this. VERY well-written story of a really messed up dude. Total psychopath! Reality is stranger than fiction, most times. Enjoyed the story and the narration. I really think both author and narrator did an excellent job, and I'd definitely recommend it, but you'll need a thick skin... Good stuff. Green Has Done It Again! I love listening to true stories and this author has a great way of building up the story, starting with the history of the individuals and backgrounds, so you can get a feel for might have happened. The narrator, Steve White, does a great job with portraying what the author is trying to say. Steve white ,one of the best storytelling voices. The story has is chilling as well as intense. i would recommend this book if your into spine twirling stories, also narrated by one of the best voices for the job. Ronald Gene Simmons should have been a kind, respected military man. At least that's what you would think of a man who had done a stint in the Marines and retired from the Air Force after 20 years as a Master Sargent. Instead, he was a monster. Have you seen American Psycho with Christian Bale? Remember how cold and calculating he was? Ronald Simmons was the same way. Unfortunately, his wife, their seven children and grandkids would pay the price. All in all, he killed 16 of the 20 people that he attacked when he finally snapped. This is the story of Ronald Simmons and everything that led up to the massacre that occurred in 1987. Oh, and did I mention that he had been having a relationship with his eldest daughter, one which produced a child? Yikes. 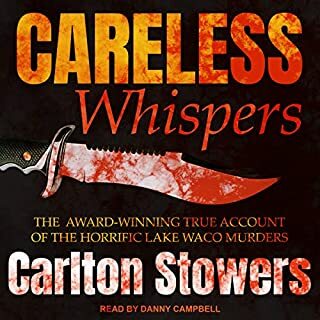 Steve White did a good job with the narration and Ryan Green wrote a good, solid, factual narration of of Ronald Gene Simmons and what drove him to that day near Christmas in 1987 when he went on his killing rampage. This is a fact-based story, and it is told as such. I was voluntarily provided this free review copy audiobook by the author, narrator, or publisher for an honest review. This book is very interesting and well written. The narration was great. However, parts of this book were not easy to listen to because of the tragic story. I received a review copy at my request and voluntarily reviewed. Wow. True crime is one of my favorite genres but this one was really something else. A disturbed husband/father reeks havoc on the lives of those in his family, including fathering a child with his own daughter and going on a senseless killing spree that shocked the nation. The most disturbing aspect for me was that very shortly before his killing spree, Simmons reached out to a mental health clinic for an appointment, for help. The person who answered took his calm demeanor as a sign that it wasn't urgent. This is a great example of how one can't always tell the state of mind another is in, but if they ask for help, they'd better get it. Simmons hated women and felt that their only purpose was to please him sexually - this mind set made doing normal jobs or functioning normally in society nearly impossible. Absolutely disgusting and fascinating, if you enjoy true crime. If you are sensitive to child abuse, this book is not for you. If you want to come face to face with the evil inside the worst of us, you will enjoy this true tale. 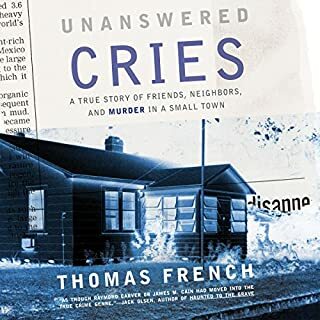 This book tells the chilling story of Ronald Gene Simmons’ 1987 murder spree. Starting with his early life and delving into the years that led up to his gruesome crimes gives the listener insight into this man’s twisted thinking and his need to exert complete control over everyone and everything in his life. Hearing about his unimaginable crimes against his daughter was difficult, but necessary in understanding why he went over the edge when he felt he was losing control of his family. The narrator has a deep, authoritative voice that made for an enjoyable listen. Overall, a well-written, compelling story told in a way that held my attention until the end. *This book was given to me for free at my request and I provided this voluntary, honest review. 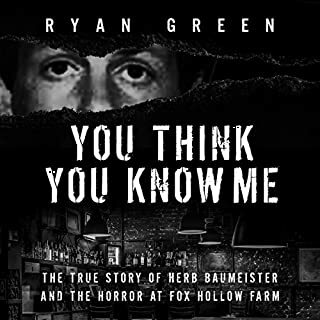 The author Ryan Green is amazing, I believe that no matter the subject he would glue you to it, he does a complete research before he starts and then like magic he tells the story like no others ! If I only had teachers like him, I would have been a much better student then just an average one. 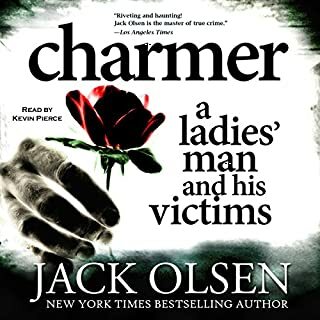 Really beautifully written coupled with the narrator Steve White a great audiobook was created. This audiobook is Full heartedly recommended !!! I believe that my review was honest even so that I got this audiobook for free.